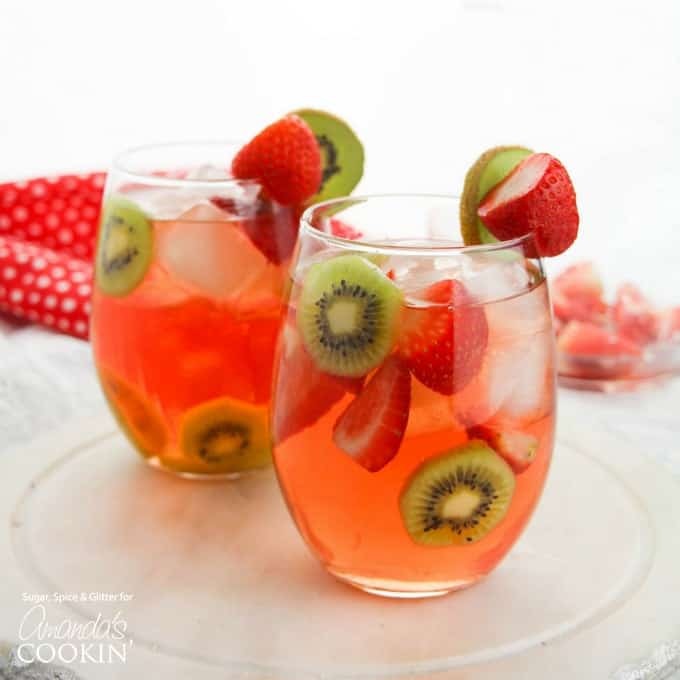 A delicious summer strawberry cocktail, this Strawberry Kiwi Sangria uses pink rosé to create a fruity and fun sangria recipe that’s perfect for parties. 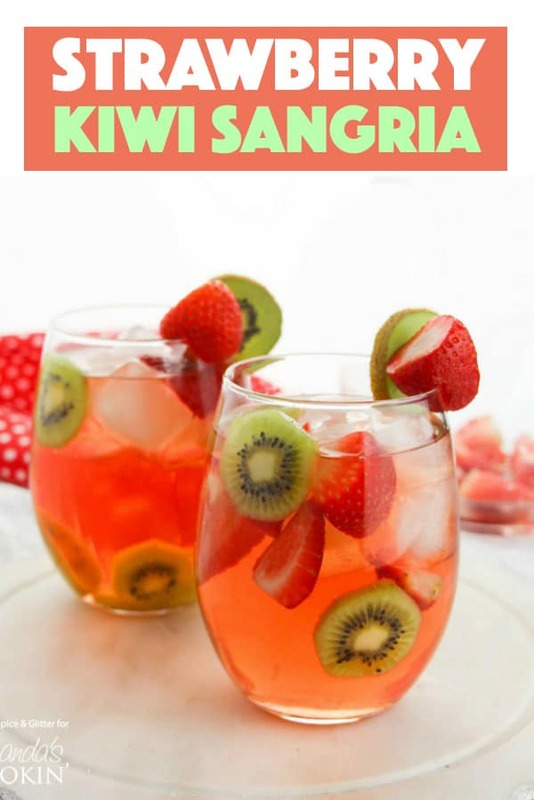 This Strawberry Kiwi Sangria is the perfect summer cocktail – whether you’re serving it in the afternoon to beat the heat, or as a fun cocktail to go along with some summer BBQ. If you’d like, you can thread the fruit on a skewer so it doubles as dessert or a snack! 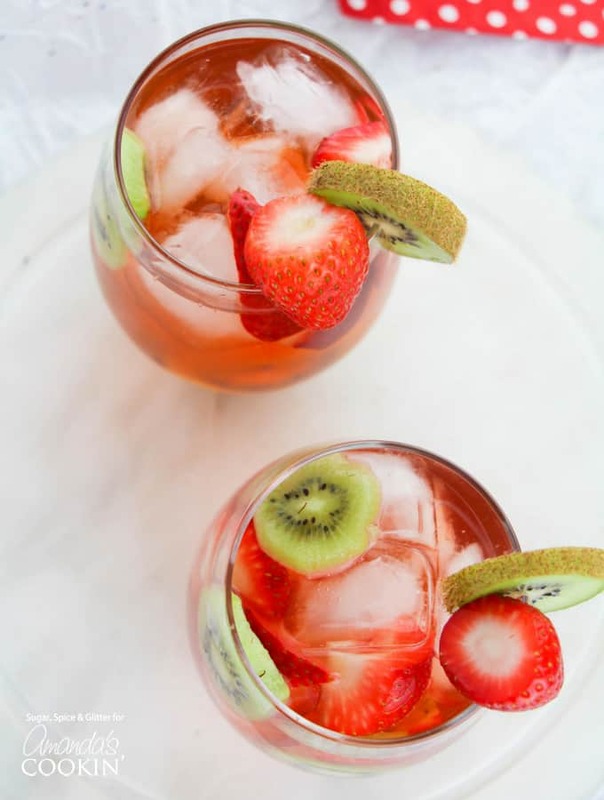 Strawberry and kiwi are a classic flavor combination – and they pair together beautifully for this homemade sangria recipe. Kiwi, ironically, has a slight strawberry flavor of its own, with a slightly sour, citrus twist. 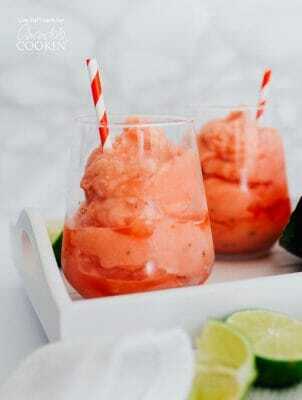 It enhances the natural flavor of the strawberries also found in this drink while rounding out the drink perfectly with those other flavor notes that often go unnoticed. Rosé brings it’s own flavor notes: red fruit, florals, citrus and melon – basically, the same flavors as the strawberry and kiwi so they pair together beautifully, creating depth without complication. 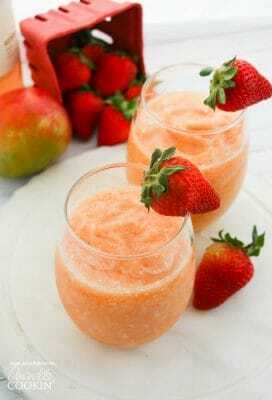 This drink is so refreshing and thirst-quenching, making it perfect for a hot summer day. If you’re looking for an easy summer appetizer to serve it with, be sure to check out my Lobster Roll Sliders recipe or my Rainbow Salsa recipe – and don’t forget to pin Amanda’s collection of 30+ Appetizer Recipes! 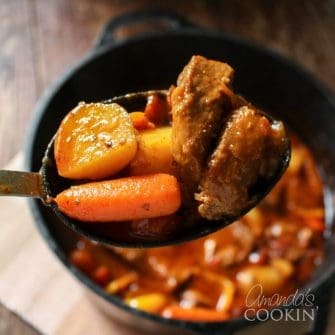 Without further ado – let’s get onto the recipe, shall we? 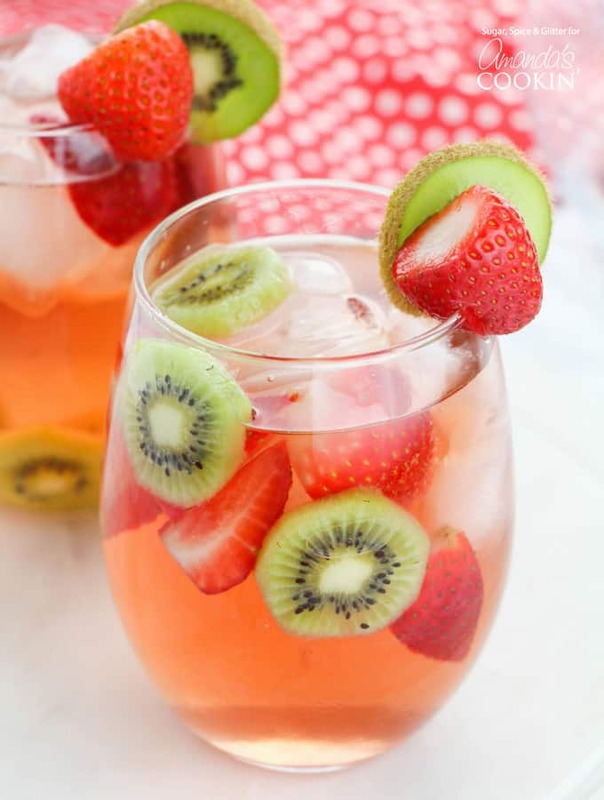 This Strawberry Kiwi Sangria recipe made with rosé is the perfect crowd-pleasing wine punch recipe for your next summer get-together. I hope you get a chance to enjoy it amongst friends – and let us know what you thought! 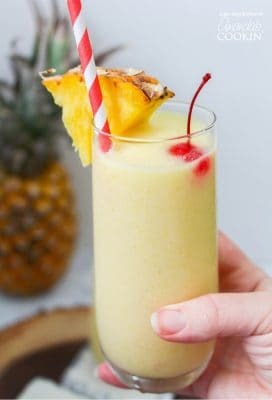 If you’re interested in more fun summer drinks to keep you cool on a hot day, check out some of our favorites below! This Strawberry Kiwi Sangria is the perfect summer cocktail - a delicious way to beat the heat, or as a fun cocktail to go along with some summer BBQ. Slice fruit and add to large jug. Pour the rose into the jug and top with vodka. Fill your serving glasses with ice, if desired. 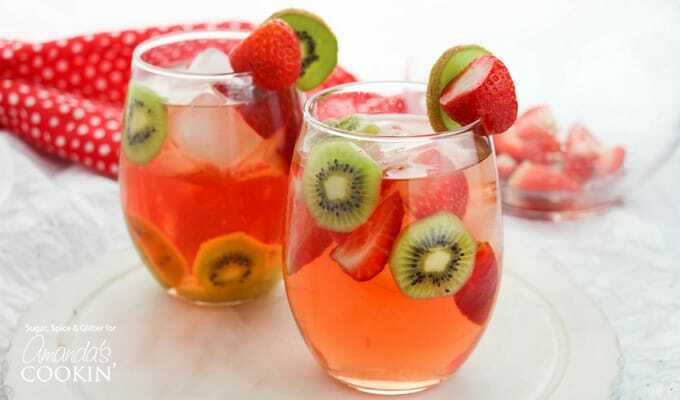 A kiwi slice and strawberry with a sharp slit cut into it make cute garnishes for your serving glasses.